The N-NOSE test developed by Takuya HIROZU monitors if C. elegans roundworms evade or come closer to a drop of urine obtained from a test person. 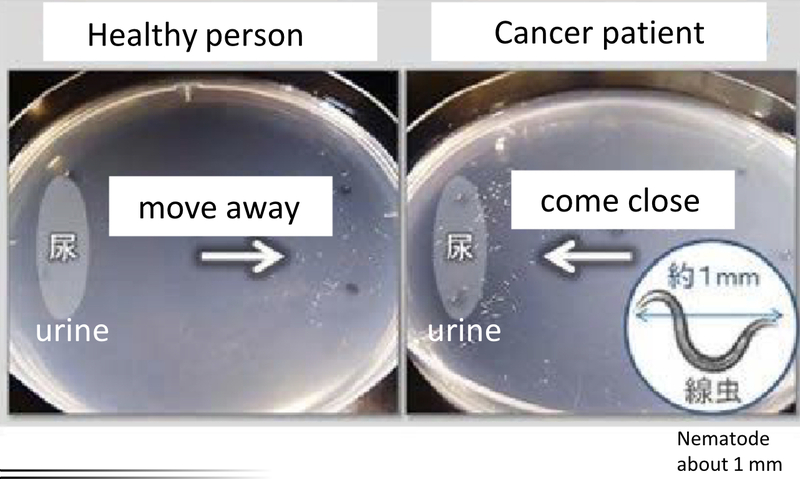 C. elegans has significantly more smell receptors than dogs and evades healthy urine but not the urine of cancer patients. In tests so far an accuracy of over 95 % was observed. The test is already internationally offered over the internet http://www.hirotsu-bio.com for 350 USD per single package or 599 USD for three packages a year.